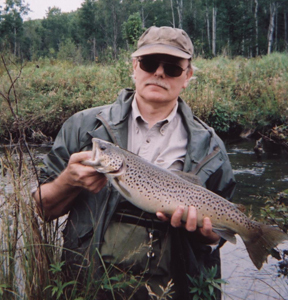 Alvin, no relation to the chipmunk, provided a lot of entertainment at trout camp in the seventies but his influence on the world of fishing is only now becoming recognized. Maybe it was his supreme confidence about the sport in spite of his lack of the “latest greatest” equipment and lures that became must haves for lesser anglers. Alvin invented as he went along and I am convinced he would have been declared the winner of any Survivor show that included a place to fish. By winner, I don’t mean the guy that wins a million dollars, I mean the guy that makes the absolute best of where he is at, in effect, living off the land, in style. When the skinny survivors from suburbia get hauled back to the mainland, Al would decline the ride back and spend a few extra months enjoying the tropical paradise. As a fisherman, Al wrote new rules. His tackle box doubled as a tool box and carryall for odds and ends. When he opened it around other fishermen, there was a collective gasp as his peers tried to mind sort the congested mess of strange artifacts cobbled into a Rubik’s cube of pointy objects, rusted hooks, copper blades, smoking paraphernalia, and monofilament line bird’s nest. 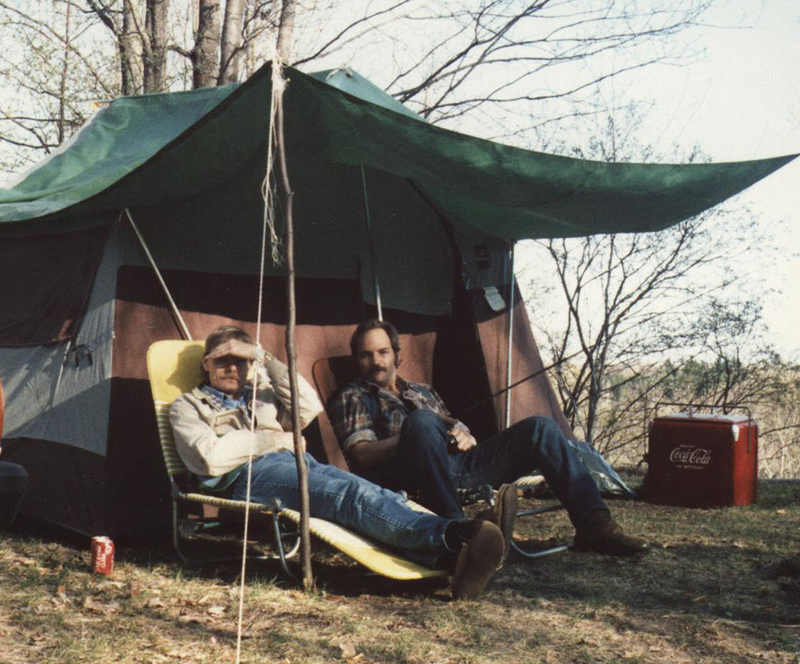 That’s where Al’s genius took over because in less time than it takes to read the bible Al would have a conglomeration of mostly fishing things half-hitched to the tackle end of a yard sale spinning rod he stopped to buy on the trip to camp. There has been some speculation that the “Zoppa Rig” was invented strictly for Musky fishing on the Roger’s Dam reservoir, but now the word is out – The Zoppa rig can and has been used successfully for most every game fish in Michigan including all species of trout, catfish, bluegills, crappie, suckers and carp, as well as large and smallmouth bass. In the right hands (Al’s) the Zoppa Rig transcends species. And that’s why it is so dangerous. There are no known photographs of the Zoppa Rig but Feral Tweed did make a sketch based on memory. I concur on the accuracy but should point out that minnows or chicken intestines can be substituted for the two crawlers depicted in the sketch, though crawlers are the preferred generic for the widest assortment of game fish. Note also that the AC spark plug should have more rust and a silver key can be substituted for the gold key for rainbow trout. Diane, we miss him too. There is a second post about Al, hope you saw that one also. Kind regards to your family.